After about 6 months in Second Life I mustered the courage to try one of the alternative open source grids. Having seen the term OpenSim on various Second Life blogs, I Googled that, and found the OpenSim website. At the top of the page was a link to the Grid List, which names a surprising number of public grids, listed in order of their initial appearance. The oldest was DeepGrid, which began operations in June 2007, followed by Open Source Grid (OSGrid) which began in July 2007, and OpenLife which began in October 2007. I decided to start with OpenLife. I connected to the OpenLife website, and after a bit of searching found the OpenLife Wiki and a page that tells how to get started. The wiki says that you can use either the RealXtend Viewer or the SecondLife Viewer, but the RealXtend Viewer failed to start for me. So I followed the instructions on how to create a shortcut to OpenLife for the SecondLife Viewer. I opened an account with the avatar name Danton Sideways, and launched the viewer. I found myself on a rather barren island, in the default female avatar called "Ruth." I tried to edit my appearance, but nothing happened. I looked into my inventory, and found it to be completely empty. I then flew over a few adjoining sims, which were vast stretches of terraformed land with nothing on them. I also tried to use Search to find people, but the Search function gave no results whatsoever. My initial reaction was: "Is this a joke?" I came away from that initial OpenSim experience thinking that all I could do was fly over an empty terraformed wasteland in the Ruth avatar, looking for other avatars who were not there. On the next try, however, things got better. But before I go on with my story, let us take a glance backwards, to survey the origins of the open source alternatives to Second Life. "When 'your' user logs in at your own sim, the UUID which is generated is encrypted with a key which has been provided by LL. If you don’t use that key, well, you may register with an 'isolated sim' and have your fun there. But you won’t be able to access any content on the main grid, nor be able to export your content there." Gwyneth thus proposed a way for Linden Labs to go open source but still remain profitable by using encrypted keys. Linden Labs was slow to respond to this challenge. Meanwhile, a low-profile group of non-Linden programmers had already begun reverse engineering the Second Life protocol. "Our goal is to create a multi-threaded, object-oriented library to write a Second Life client of any complexity. We currently do not have any source code, as it's still in the design and planning phase." Libsecondlife has been described as "a BSD open source library for creating custom clients that could connect to Second Life". A technical description of the libsecondlife project is given on the Second Life Wikia. 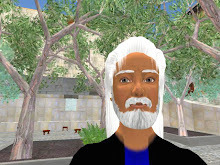 Development of libsecondlife is still ongoing, as can be seen on the libsecondlife wiki, where most of the articles are signed by Baba Yamamoto. Libsecondlife however soon generated a major scandal with its derivative CopyBot programme. CopyBot was originally created as a debugging tool by the libsecondlife development team, who had in mind using it to be able to backup one's own created content on one's own hard drive, or to be able to export one's own intellectual property to other environments. But since it was open source, CopyBot was quickly modified by unscrupulous hackers who recompiled it as a tool to replicate objects and avatar appearances without permission. Angry Second Life residents met with Linden Lab on November 13, 2006 to discuss the Copybot problem, and then organized a series of virtual protests, as described by Reuters and Hamlet Au. The outcry led Linden Lab on 14 November 2007 to declare that the use of CopyBot was a TOS violation. Less than two months after the CopyBot scandal, on 8 January 2007, Phoenix Linden announced on the official Second Life Blog that the source code would be released for the Second Life viewer. It thus seems that libsecondlife and CopyBot were the catalysts for prompting Linden Lab to go open source themselves, in order to maintain control over a development which appeared inevitable. However, in January 2007 Linden Lab only released the source code for the Second Life viewer, also called the "client," which is the software that the user installs on their own computer in order to access Second Life. There remained the software that runs Second Life itself on the Linden Lab servers, storing and retrieving all of the data about the sims and the users' assets, and implementing the virtual world in real time. Various attempts had already been made to create an open source virtual world server, but had floundered in face of the massive task of writing both the server and the client at the same time. It was now no longer necessary to write the client, since Linden Lab had released the source code for the official Second Life viewer, and the libsecondlife library was available for creating other custom clients that could connect to Second Life. So in that same month of January 2007, Darren Guard (also known as MV) founded the OpenSim project, to concentrate on developing on open source virtual world server that the Second Life client could connect to. As explained in the Wikipedia OpenSim article, OpenSim uses libsecondlife to handle communication between the client and the server. "There was a sim, its name was "Mortville" and a half-dozen crazed programmers were jumping around on a little island, flying into the ground, all chat was showing up twice, IM crashed the sim, all objects were phantom, no trees, no nothing, but it was wondrous. Within a couple of weeks there were a dozen sims on Deepgrid." Linden Lab struggled to keep up. On 13 September 2007, as explained in a page on the Second Life Grid website, Linden Lab kicked off a public planning process for "designing protocols for virtual world software interoperability," which led to the formation of the Architecture Working Group (AWG). One of the stated goals of the AWG is to "enable third parties to run servers that connect to the Second Life Grid platform." In other words, since the development of open source grids is inevitable, Linden Lab wants to enable third parties to connect their own sims to Second Life, for a fee. Which is pretty much what Gwyneth Llewelyn was talking about back in 2005. The latest development in this direction is an announced plan for IBM to hold Second Life grid servers on their private corporate network, behind the firewall, but with enough network access to communicate with the central services on the Second Life grid. This project is further described on the blog of Zha Ewry (David Levine) of IBM. Zha Ewry is also the head of the Linden-sponsored Architecture Working Group, and IBM runs its own private sims using OpenSim software. One of these is the Shengri La sim, built by Shenlei Winkler of the Fashion Research Institute, as can be seen here. As I've told above, my initial experience in OpenLife was a total disappointment. I did nothing but fly over barren terraformed sims in the Ruth avatar, with no inventory and no search function. So I decided to try CentralGrid to see if that was any better. On the CentralGrid website I found a link to the CentralGrid forum, with a page that tells how to log on. Following these instructions, I created a shortcut to the Second Life viewer, in exactly the same way as for OpenLife. Once logged in, I found myself in an identical Ruth avatar with an identically empty inventory. The only difference was that the entry sim was somewhat more built up, with a few blocks of empty streets and wide-spaced, sterile buildings all in the same modern style. And my feet didn't sink a few inches into the earth, as they tended to do in OpenLife. But the search function was equally unusable. What I understood later is that all of these open source grids are just picking up the latest version of the OpenSim software, and tweaking it, so they can only offer the functions which have already been developed for OpenSim. In both OpenLife and CentralGrid, the main activity seems to be selling entire sims. Some of the open source grids allow users to connect their own servers, but these two seem to require you to rent the servers from them. There is no official way to rent just a plot of land (though one could always rent a plot by making a private deal with a sim owner). Few of the grids have any plans to create an in-world currency, though CentralGrid is reportedly working on it. People buy these sims knowing that the software is still under development, and that there is no in-world economy, thus no possible return-on-investment, so of course the prices are lower than for sims on Second Life. Some days later I decided to try again. I went back to the OpenLife website and logged onto the chatroom. One nifty feature of OpenLife is this chatroom, which can be joined easily by anyone, without having to know how to use IRC channels. There is nearly always someone on line to whom you can ask questions. I found online Sakai OpenLife himself, the founder of OpenLife, and asked why I was unable to edit my appearance. He replied that it was explained on the wiki. So I went back to the wiki and found that there was indeed a page about editing appearance. You must go into your inventory, click on Body Parts, right click to get "create new," and then wear the new object to edit it. I thus created and edited four body parts (body, skin, hair, eyes) and three pieces of clothing (shirt, trousers and shoes). I tried to get the same look as for Danton Sideways in Second Life, but the result was rather far from the mark. And I was unable to grow a beard, because while my chin puffed out into a beard shape, I had no appropriate texture colour to add, so I reverted to a clean-shaven look. Remaining in-world on the dreary welcome island, I changed windows to go to the chat room, and asked where I might find a more lively sim. Someone suggested I try Electron, which is the sim of Gobi Greenwood (correction: Electron is actually owned by Gumby Roffo). Electron is rather nicely built up, including a stage and screen that streams a video clip. On my next visit I went to Quartz, another of Gobi's sims, where he is setting up a freebie store. It is a several story building which for the moment is totally empty. I also went to the Renegade sim, where I met Josh Noonan inside a fancy temple build. He proposed to rent me a plot via an external payment using paypall. I said I was interested, but I have to go back to discuss this further. I then returned to CentralGrid. I set the destination sim to CentralGrid Home, but had a problem logging in. The error message said something about waiting for a handshake, and the forum instructions for dealing with this were rather complicated. So I just tried a different destination (Central Grid Sandbox), and that worked. I edited my avatar exactly as on OpenLife – the underlying OpenSim software is identical – but the result was again disappointing. You would have trouble recognizing that it is supposed to the same Danton Sideways as is in Second Life. I tried teleporting in CentralGrid, and arrived in the Moonbeam sim, where I was surprised to actually see another avatar on line, hanging in the air. Then I crashed. When I logged back in I was Ruth again, and had to open my inventory and put on all of my edited body parts and clothing items one by one. When I was dressed I looked for the avatar I had seen, and found Happi Homewood, working on his multi-story shopping center in the Moonbeam sim. He explained that he was getting ready for when CentralGrid would implement an in-world currency. I sent him a friend request, so that I could find him easily in-world, and he accepted it. That was my last act so far in CentralGrid.